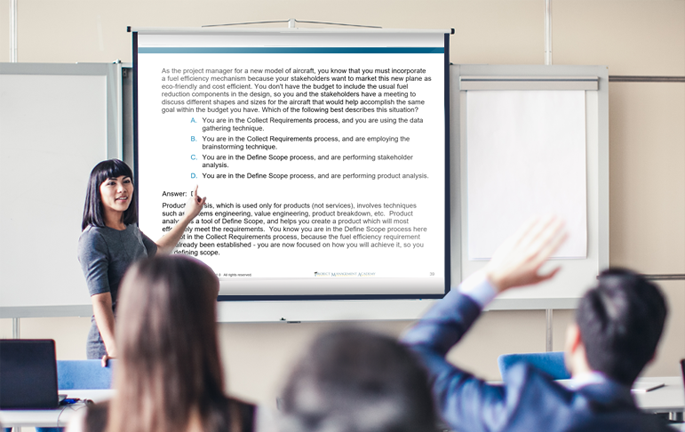 Taking a quality PMP training course is more than just sitting in a room with an instructor and a copy of A Guide to the Project Management Body of Knowledge (PMBOK® Guide). Since the PMP exam can be extremely challenging, it is vital that you have sufficient study resources at your disposal. We offer the most comprehensive and highest quality training materials available. PMP Main Presentation Coursebook - Our full-color, professional, spiral-bound coursebook covers the most critical concepts and shows how they intertwine. We give you the big picture, but also the core details and terminology you must master. We present the material in what we believe to be a more logical and understandable sequence than the PMBOK® Guide offers. Our material is well-organized and mapped to other data sources, making it an excellent tie-together reference. We combine all of this with clean graphics and grammar to deliver an outstanding course binder. 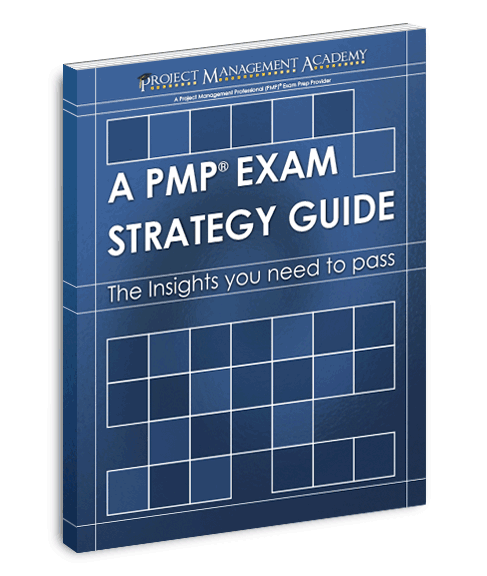 A PMP Strategy Guide® - Perhaps the most impactful study aid, our A PMP Strategy Guide® has proven incredibly useful because it outlines several critical areas: formulating a good study plan, what to expect on exam day, understanding the 25 most common confusions students encounter and identifying the 10 most common types of testing tricks on the PMP exam. Many students read it at least twice; once after class and again when they think they are fully prepared to sit for the exam. 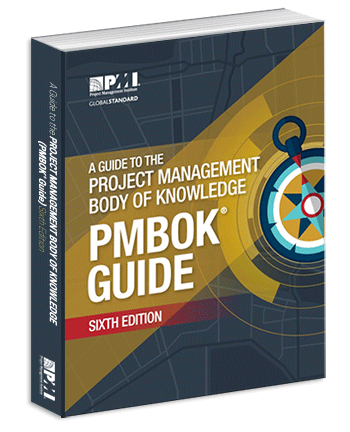 PMBOK® Guide - A Guide to the Project Management Body of Knowledge, Sixth Edition (PMBOK® Guide) is the leading reference tool for sound project management practices. Compiled by a group of leading project management experts from around the world, the PMBOK® Guide sets forth the various processes and tools endorsed by the Project Management Institute® for managing any type of project. The PMBOK® Guide also includes many helpful charts and graphs depicting the flow of data and knowledge across the various management processes. PMP Quick Study Guide - Whether riding on the subway or exercising on the treadmill, our Quick Study Guide makes a handy accessory. This durable bi-fold, is packed with terminology and charts. 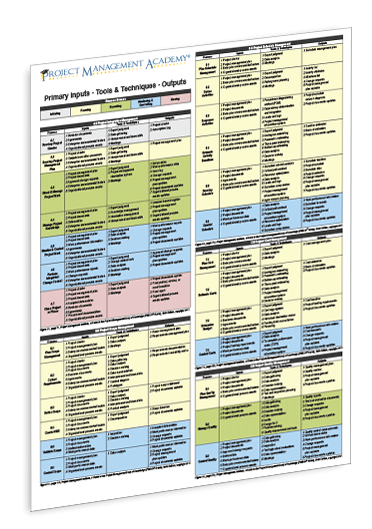 It is organized and color-coded to help you categorize the various concepts, see key distinctions and understand the relationships in the materials more visually. 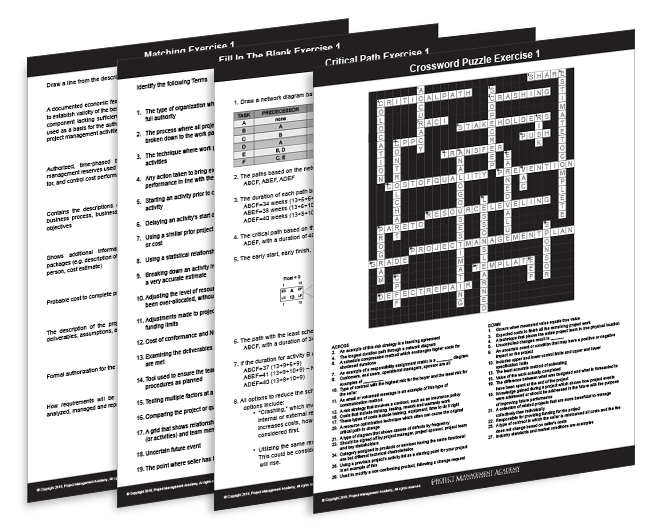 The Quick Study Guide leads the way in our impressive set of printed, exam prep materials. PMP Process Group & Key Formulas1 - For the exam, you must know each of the processes and understand several formulas to pass the exam, along with the scheduling and critical path method. We boil these down into a single study aid. 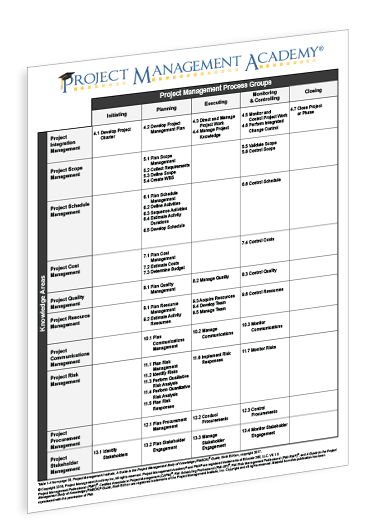 The front side breaks down the 49 processes by knowledge area, process group, and PMBOK® Guide chapter, giving you a visual roadmap to follow, both in class and afterwards. On the reverse side, we provide both the key calculations and a description of their components. If you fully grasp this, earned value and critical path questions should be no problem on the exam. PMP Primary ITTOs2 - You will have to gain a working understanding of all tools and techniques. We present all inputs, tools and techniques, and outputs in a well-organized, color and number-coded chart. While we don't want you spending all your time trying to memorize this comprehensive set of tables, it will be a critical look-up tool when understanding the flow and progression of the processes and their components. 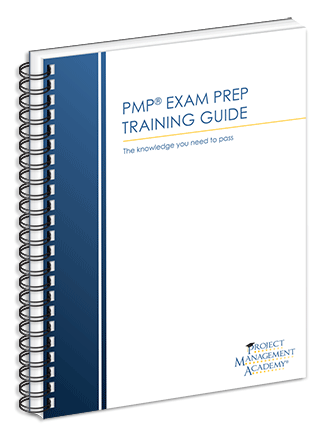 PMP In-Class Practice Questions - To provide a more interactive experience, and to break up the lectures with more class engagement, we do in-class practice questions at regular intervals. These questions can be difficult, so don't get frustrated if you miss some of them. Sometimes they are meant to be missed to highlight the many common exam writing tricks, so you are better prepared on exam day. They also serve to allow your instructor to identify and explain the subtle distinctions and finer points on which you will be tested. PMP In-Class Mock Exam - The mock exam is given on the last day of class, with all students receiving the same questions. Our mock exam is an in-depth diagnostic tool intended to help you identify areas of weakness. It will allow students to get an excellent baseline of where they stand before the course ends and can help determine when the exam should be scheduled. The exam file is provided to each student on a USB drive and it auto-grades your answers while providing score breakdowns by process group. Students can then discuss any problem areas in the afternoon review session. 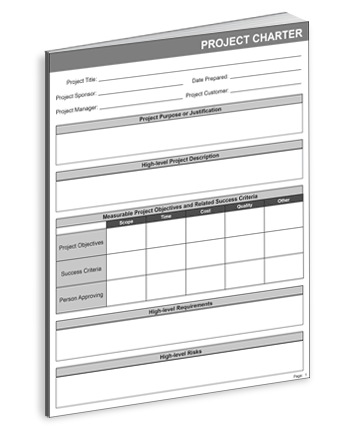 PMP Sample Forms - Some students are visual learners, so we have included a digital packet of template forms for the most important project management plans and documents. It is one thing to read about a Risk Register, but to really understand the importance of certain key documents you should review them in detail and perhaps fill in a blank one. This gives you a better feel for their utility and functionality. 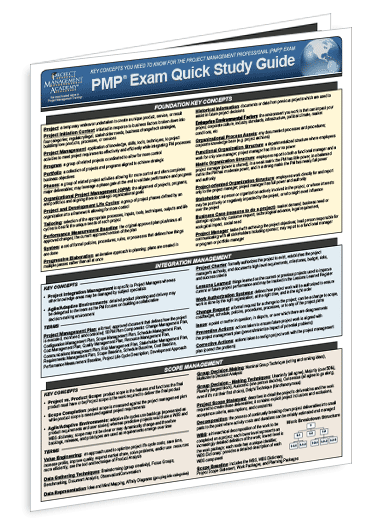 PMP Book of Exercises - Because everyone learns differently, we developed a comprehensive downloadable exercise book for you to practice and test yourself. For terminology study, we offer matching exercises, fill in the blank narratives, and crossword puzzles. For earned value and critical path mastery, we show all the various angles from which you are likely to be tested on the exam and walk you step by step through the answers. These exercises range from fairly easy to quite challenging, helping you master the basics while also ensuring you never get surprised on the exam. PMP Online Course Lectures - As part of our commitment to excellence, you will never leave our course empty-handed. 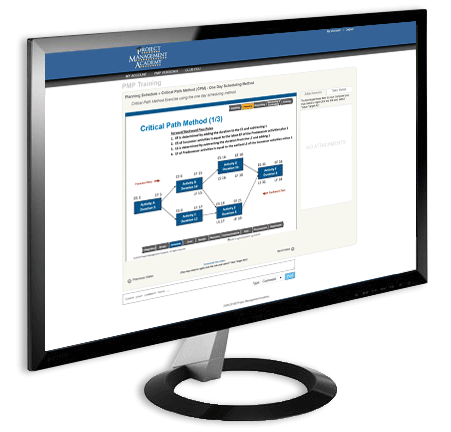 In addition to our many other resources, we make sure you are always a click away from detailed audio-visual lectures, broken down individually for each discrete topic/process outlined in the PMBOK® Guide. In short, this is an entire PMP boot camp on demand, accessible anywhere from your computer or tablet, which you can replay and download at your convenience. 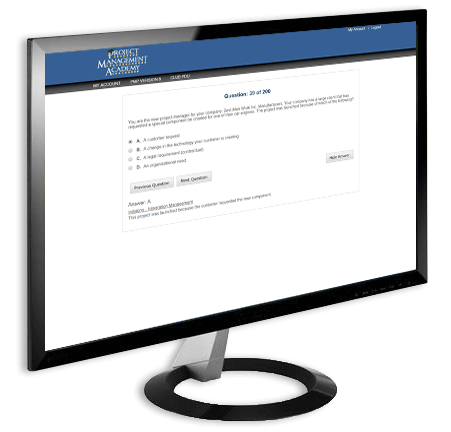 PMP Online Practice Questions - Any good PMP prep course offers practice questions, but we take it to the next level. Our online practice questions look and feel like the real thing and you can take as many randomly drawn exams as you wish. Our system grades each exam and breaks down performance by process groups. Each exam is graded and stored along with its breakdown, so you can track your progress over time. Each exam will contain the same percentage distribution of questions across the 5 process groups like the real exam, making for a more realistic testing experience. PMP Tutoring Email - You should leave our course knowing, no matter what questions may arise, help is just an email away. In addition to our weekly Q&A webinars, we also provide ongoing individual support via email. If you encounter something confusing while preparing, simply email our tutoring service and your question will be answered via email by our on-call instructor for the week. PMP Tutoring Webinar – We provide free tutoring webinars every Friday at 3pm ET. You can register for these webinars from the web portal and attend via GoToWebinar. These are informal Q&A sessions where you can ask the instructor anything you wish to discuss as you prepare for the exam. Some students like to attend even if they have no questions, just to get a good re-cap of difficult topics. 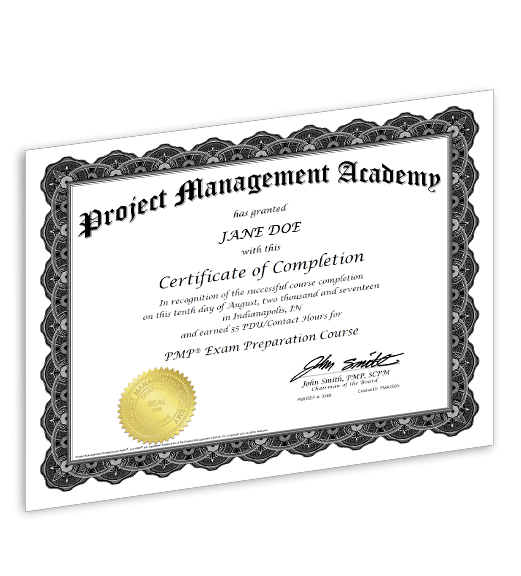 PMP Boot Camp Certificate of Completion - When you complete our PMP exam prep course, you will receive a Certificate of Completion, acknowledging you have acquired 35 hours of professional development training from a PMI Registered Education Provider (R.E.P.)®. Should you get audited when applying for the exam, you will need to provide PMI a copy of this certificate. Project Management Academy is the most trusted name in project management training. We help project managers advance their careers through professional training and credentials. We invest more in the quality of our programs and offer more PMP training resources than any other provider. We guarantee all courses will run on the dates listed and we guarantee our students will earn the respective credential, or their full money back. Project Management Institute, PMBOK® Guide - Sixth Edition, Project Management Institute Inc., 2017, Page 25. Project Management Institute, PMBOK® Guide - Sixth Edition, Project Management Institute Inc., 2017, Page 563-634. Pass rate statistics are calculated by tracking the number of our students who were unable to pass the exam and comparing that number to our total enrollment figures for the period. For more details click here.